The preparatory school gives cadet candidates a year of rigorous tutoring so they can meet the academy’s strict academic standards. Five black students woke up there Tuesday to find “Go Home” followed by an epithet scrawled outside their rooms. 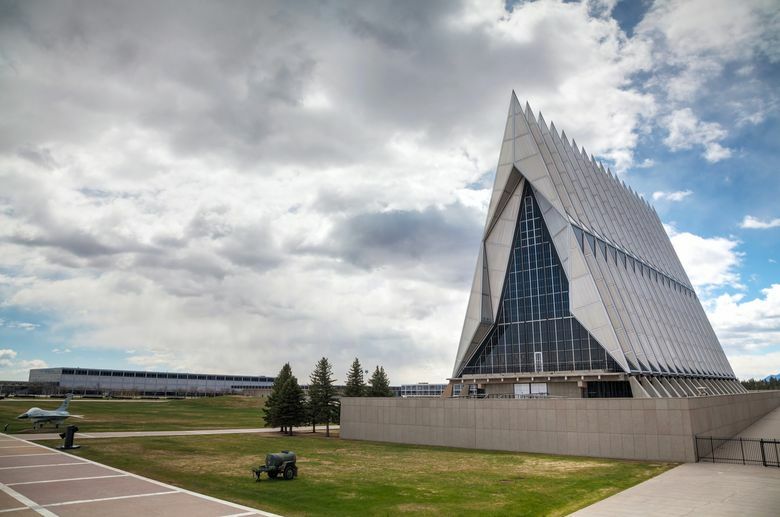 COLORADO SPRINGS, Colo. — The head of the Air Force Academy stood all his 4,000 cadets at attention Thursday to deliver a message on racial slurs found written on message boards at the academy’s preparatory school. Chins in and chests out, the cadets were flanked by 1,500 officers, sergeants, athletic coaches and civilian professors inside cavernous Mitchell Hall. Lt. Gen. Jay Silveria told them to take out their smartphones and record his words. The preparatory school gives cadet candidates a year of rigorous tutoring so they can meet the academy’s strict academic standards. Traditionally, more than half the students at the prep school are recruited athletes. The academy in recent weeks has worked to address the racially charged state of America. This week, academy dean Brig. Gen. Andy Armacost hosted a campuswide discussion about white-supremacist incidents that accompanied an August “Unite the Right” rally in Charlottesville, Va.